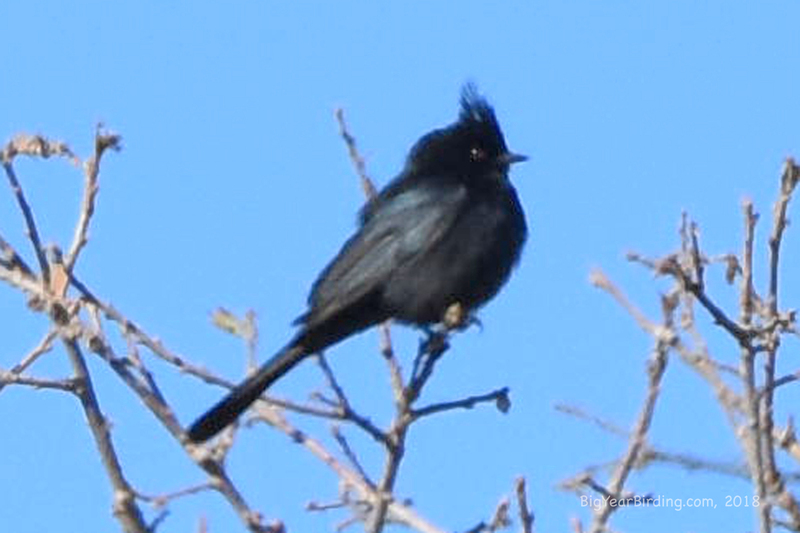 The phainopepla is a striking bird, 6–8 inched long with a noticeable crest and a long tail; it is slender, and has an upright posture when it perches. Its bill is short and slender. The male is glossy black, and has a white wing patch that is visible when it flies; the female is plain gray and has a lighter gray wing patch. Both sexes have red eyes, but these are more noticeable in the female than the male.